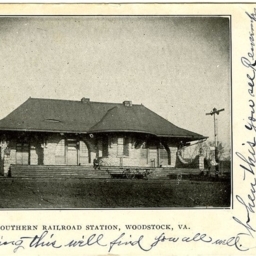 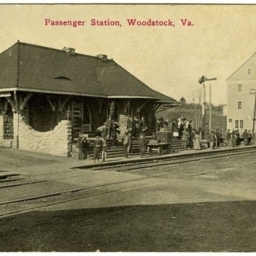 Southern Railroad Station, Woodstock, VA.
Postcard showing a picture of the Southern Railway passenger depot in Woodstock Virginia. 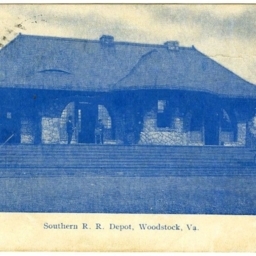 Depot, Southern R.R., Woodstock, Va.
Color postcard showing a picture of the Southern Railway Passenger Depot in Woodstock Virginia. 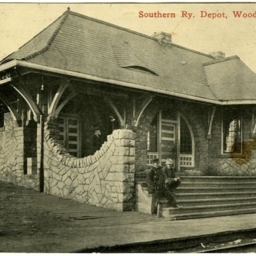 Southern R.R. 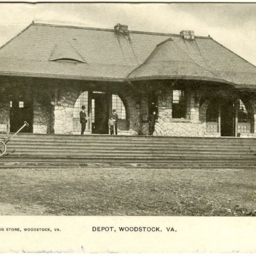 Depot, Woodstock, Va.
Southern Ry. 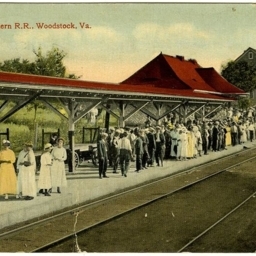 Depot, Woodstock, Va.
Postcard showing a picture of the Southern Railway passenger depot, train, and passengers in Woodstock Virginia. 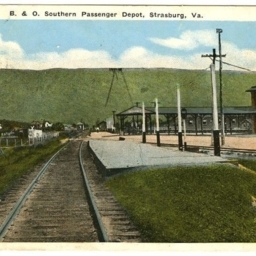 B & O Southern Passenger Depot, Strasburg, Va.
Color postcard showing a picture of the passenger station in Strasburg Virginia that served both the B & O Railroad and Southern Railway.